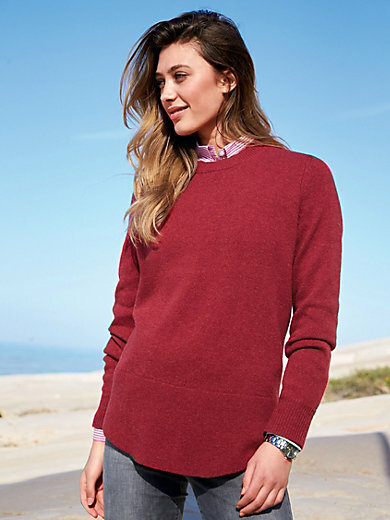 Round neck jumper by PETER HAHN: new colours, high-quality fabric! An on-trend basic jumper made of soft, warm lambswool from the first shearing of the lambs. Slightly longer style with rounded hem, deep side vents and decorative stitch on the front. 100% new milled wool. Length approx. 26ins. The round neck jumper should be washed by hand.